Best cars for towing 2019 | What Car? As soon as you climb inside the Superb, you notice how huge its interior is, especially in the back, where there’s noticeably more head and leg room than you’ll find in most other cars of this type. The boot is huge, too, so there’s no need to pack light on your caravanning holiday. But there’s more to the Skoda’s talents than just space. Stability is the quality we look for above all others when towing, and the Superb is settled and reassuring at motorway speeds. When the car was slowing down, the ATC sensors detected some slight movements from the caravan, but it was barely enough for the driver to notice in the mirrors. 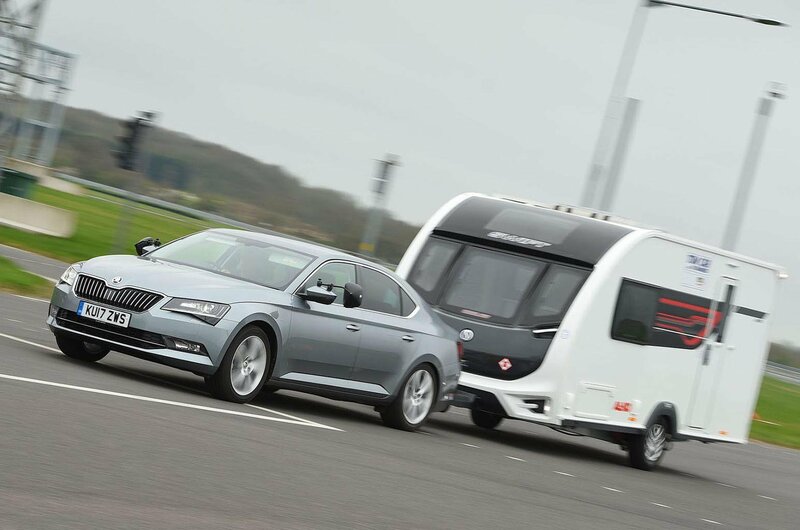 The Superb is powered by the same 2.0-litre diesel engine as the Octavia, and despite the larger car’s extra weight, it can still easily tow a caravan up to speed. The Superb isn’t the most exciting car to drive, but it is relaxing and comfortable. What’s more, it’s keenly priced and well equipped. It’s so good, in fact, that the estate version was named as What Car?’s 2018 Estate Car of the Year. We had high hopes for the new Peugeot 5008. 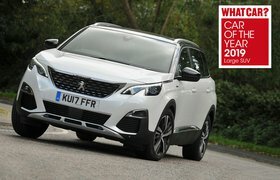 The petrol model was named Large SUV of the Year at the 2018 What Car? Awards, so there was every sign that this range-topping diesel would make a capable tow car. And so it proved. For most people, the 1.2-litre Puretech petrol engine is better value, but anyone who tows will appreciate the extra power and torque of the 2.0-litre BlueHDi diesel. It really shifts, even with a caravan behind it, towing from 30-60mph in 12.5sec. That might sound ponderous compared with the way a car accelerates when it’s unladen, but trust us, that’s not hanging around when pulling an extra 1.4 tonnes down the road. 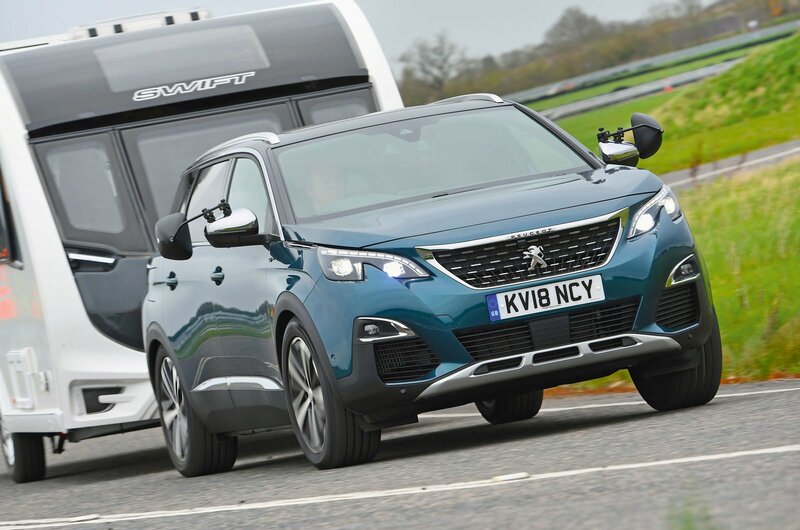 More importantly, the 5008 is composed at speed and during emergency manoeuvres. It was bordering on brilliant in the lane change test and more than happy to cruise at 60mph. The seven-seat 5008 is also practical and roomy, while its interior has a premium feel and is very well equipped, with a configurable digital instrument display coming as standard.